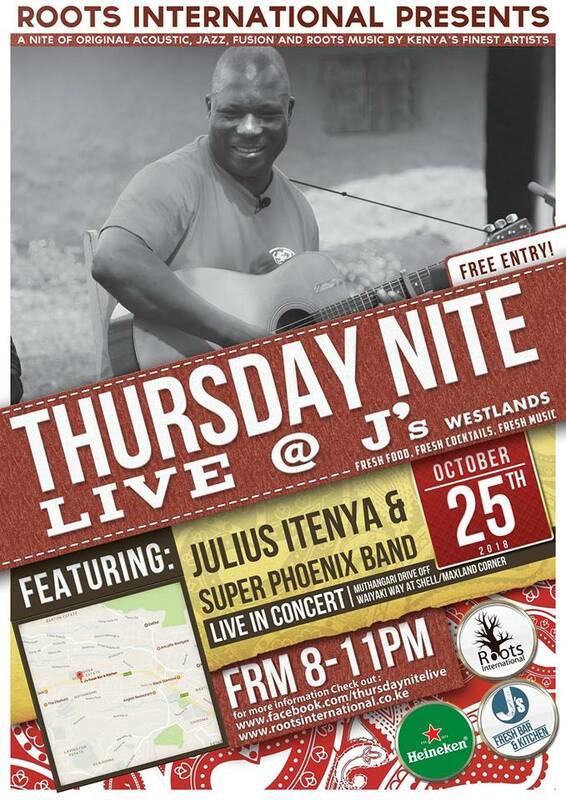 This week Thursday Nite Live in association with Ketebul Music presents the Omutibo Guitar Music of Julius Itenya & Super Phoenix Band. View his profile below. Julius Itenya and Super Phoenix Band hail from Ikolomani sub-county in Kakamega County, the birthplace of omutibo, a popular Luhya music style, often described as dry-guitar. This characteristic music style was originated by George Mukabi in the 1950s and popularized by legendary musicians such as Shem Tube, Fanuel Amimo, Peter Akwabi, Johnstone Mukabi and Itenyas mentor – Jacob Luseno. Itenya joined Lusenos original band (Phonotex Success) in 1992, as a back-up singer, but quickly mastered omutibo guitar techniques. After Lusenos death, he took over the band and continued to build on its existing repertoire with fresh and original compositions, without losing sight of the unique omutibo tradition. In 2000, he founded the current Super Phoenix Band. Today, Itenya is an acclaimed composer and a household name of Luhya popular music, with hits such as Mudanyi, Asichili, Modesta, Imbalekha and Shapeless. Bio courtesy of the Singing Wells Project and Ketebul. We want to welcome Heinenken as a partner for Thursday Nite Live at J’s.